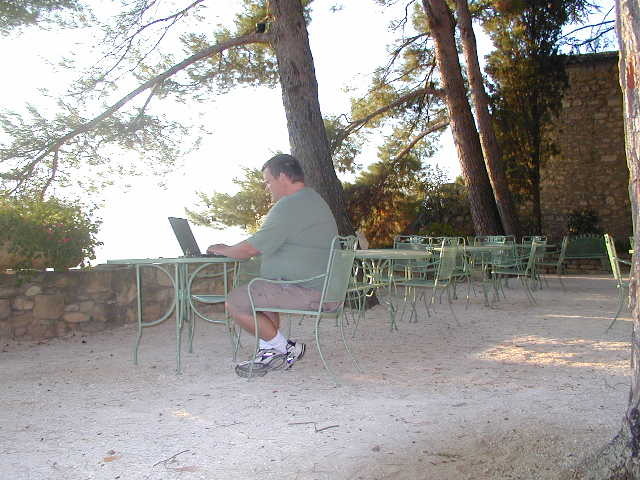 The author in the south of France, reading his e-mail wirelessly (2006). 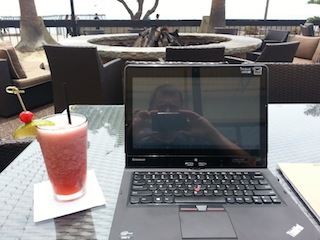 The author's laptop (and his reflection), Venutra, CA (2014). In the 5th Edition of the book (in Chapter 20), I mention something called the CIA Bag. It's not really a CIA bag, but really a GSA locking bag. You can purchase the bags at this web site. Visit http://www.wififreespot.com/ for a list of free places you can hook into using your laptop's wireless network adapter. The list includes Internet cafe's, airports, and other places where Internet access is essentially free. Free! FREE! 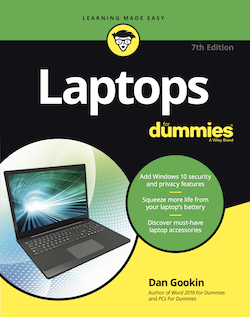 For all blog posts related to the topic of laptops, click here.